LIVERPOOL’S exit from the FA Cup at Wembley on Sunday is effectively the end of a season that begin with hopes it would feature another title challenge, a decent run in the Champions League and maybe some silverware. It will end without any of those and, failing a further collapse from Manchester City, won’t even end with Liverpool in the top four. Everybody has their own opinions on what needs to be done, but just about everybody agrees something does need to be done. Former Liverpool players John Aldridge, Jason McAteer and Jan Molby discussed it on the 5Times podcast this week, but there seems to be something of a conflict over one key change they feel the Reds need to make for next season. Instead of signing unproven potential the trio think the club needs to sign more experienced, proven players, especially with more of the existing experience leaving in the summer. But if Brendan Rodgers goes to owners Fenway Sports Group to tell them it’s time to set aside the quest for youth and bring in some experience, Molby worries they are more likely to react by finding a new manager than by listening to his requests. On Sunday Liverpool once again showed they lack firepower. Last summer Luis Suarez left, with Rickie Lambert and Mario Balotelli arriving in his place. Fabio Borini refused offers from other clubs and so remained part of Rodgers’ squad. Daniel Sturridge was already known for his injury problems – although not as bad as he’s had this season. According to Aldridge, the first focus on transfers this summer should be up front: “A radical overhaul is needed in that position,” he said. On Sunday Rodgers chose to start the match without an out-and-out striker at all, leaving all three of his three available ones on the bench. Aldo thinks their days are numbered. “I still think, those three players, Borini’s going to go, Balotelli is most likely to go, and Rickie Lambert, we don’t know what’s going to happen with him – is he going to want to play or is he going to stay at the club he loves? We don’t know. Liverpool did buy one other striker last summer, but he stayed at his existing club on a season long loan. “Origi’s going to come in, who’s potentially very good,” Aldridge said, but Liverpool need more than potential. Jan Molby responded: “Benteke, an option, he’s probably going to cost you £30m but if that’s what you want, that’s what you should spend. “I keep going back to the fact that [Mario] Mandzukic was allowed to leave Bayern Munich to go to Atletico Madrid and nobody, including us, showed any real interest in him. Molby questioned why Liverpool spent money on one of their striker signings last summer: “We didn’t want to spend money on… We bought Rickie Lambert for ‘Plan B’. The ‘Plan B’ is that we can play higher balls up to him, but we haven’t used him like that because Rickie Lambert doesn’t want to play like that. Molby agreed, suggesting one option, but Liverpool would need to make the effort to get him: “I think [Morgan] Schneiderlin at Southampton, he’s not available, they don’t want to sell him, but we have to be there. We have to ask the question. Talk then turned to the future of the manager, Brendan Rodgers, who looks certain to miss the target he was given of a top four finish and is now the first Reds manager since the fifties to get to the end of his third season without a trophy. Molby says the owners won’t be looking to change, as things stand: “Fenway Sports Group has a way they want to run the football club. And they want a manager with a certain profile. And Brendan Rodgers fits that profile 100%. On the face of it that policy isn’t helping Liverpool achieve the success the supporters yearn for and McAteer thinks sooner or later Rodgers needs to question the policy and demand better. For Molby that could signal the end of Brendan Rodgers’ Liverpool career. IF Rodgers demands experience, Molby feels he’ll be replaced by someone willing to stick with the ‘buy youth’ policy FSG have been determined to enforce from day one of their tenure: “As much as we’re talking about Schneiderlin I think the club would then rather look for another manager who is on the way up and used to working with young players, and by that I mean someone possibly like Frank de Boer at Ajax, who’s won the championship four times. “He’s come to the end at Ajax, but he’s used to working with young players because that’s the only way you can do it at Ajax. If Molby feels this is true there’s a very good chance Rodgers does too, meaning he is stuck in a place where buying proven, experienced players is the only way he can develop his squad into a winning one, but knowing he won’t be allowed to do so. If he stays, he risks earning a reputation for failure, even if the root cause of that turns out to be the policy of owners who came up with it by reading books about baseball. The coming weeks and months will tell us much about the true ambitions of the owners and their board, what is important now is to be wary of statements wrapped in the kind of expectation-lowering half-baked empty promises that electioneering politicians would be proud of. This might also be the time, with all this risk it carries, for Rodgers to ditch his yes-man status with the owners and save his own career by making clear what he thinks he needs to do his job – and as a manager of Liverpool, his job is to do all he can to meet the expectations of supporters. Listen to the full 5Times podcast below, or subscribe using the RSS or iTunes links provided. Forget about the type of player Rodgers might or might not bring him, he is the biggest worry. His ineptitude was cruelly exposed by Villa; it was about his tactics, his decision making, his preparation and his leadership. Rodgets was found wanting, and not for the first time. Rafa for me. If FSG want trophies, then they too should want change. 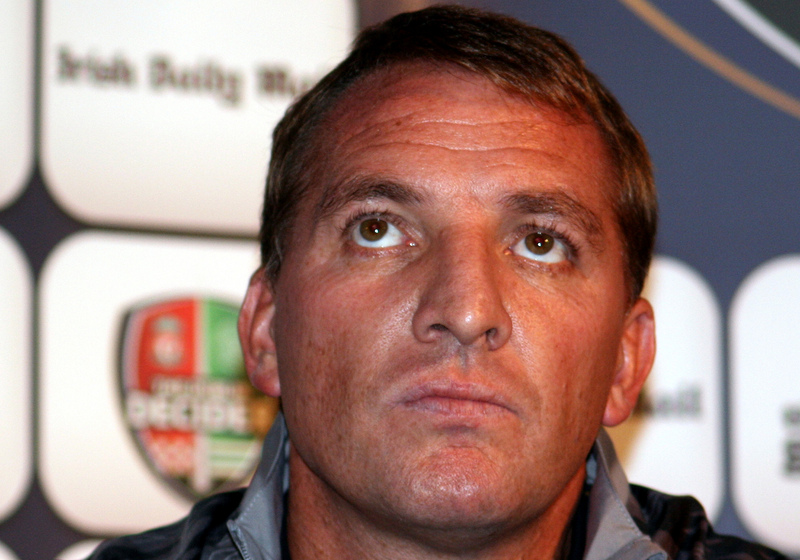 Should Brendan remain manager of lfc next season. Should not watch Lfc again except a stuff of the calibre and image of Benitez. Seems like FSG philosophy doesn’t go hand in hand with fans’ expectations. We want success and we want it immediately. If we are going to groom and lose players (like Sterling) we are not going to win any title. Time for FSG to accept the fact that we need finished articles and potentials in our team not just potentials.